“I have completely given up on work-life balance. There is no such thing. There should be no such thing. My children are nowhere near their milk guzzling diaper dirtying days when responsibilities didn’t become thoughts that looped endlessly in my overactive brain imagining potentially dangerous situations they could be in. My work is not dictated by redlines or a chunk of work to be finished in the next two days. It’s overwhelming scope from schematic design to construction administration is not something that can be shut down with that computer, or rolled away from my mind like I roll them up on my desk. Post summer, nothing has changed. Paycheck comes in, pay check disappears. Twenty four hours of the day begin and vaporize. Year is almost nine months down and I may not be nine items down on my checklist. So, when Bob said it’s going to be about Work-life, I had no idea what I would share that I hadn’t already shared on my personal blog in the past several years. So, do I want to write another blog about the great imbalance of my integrated work-life? Life is beautiful. When you do things that you love to do, even though at times it might be challenging and overwhelming, there is a certain content in that exhaustion. 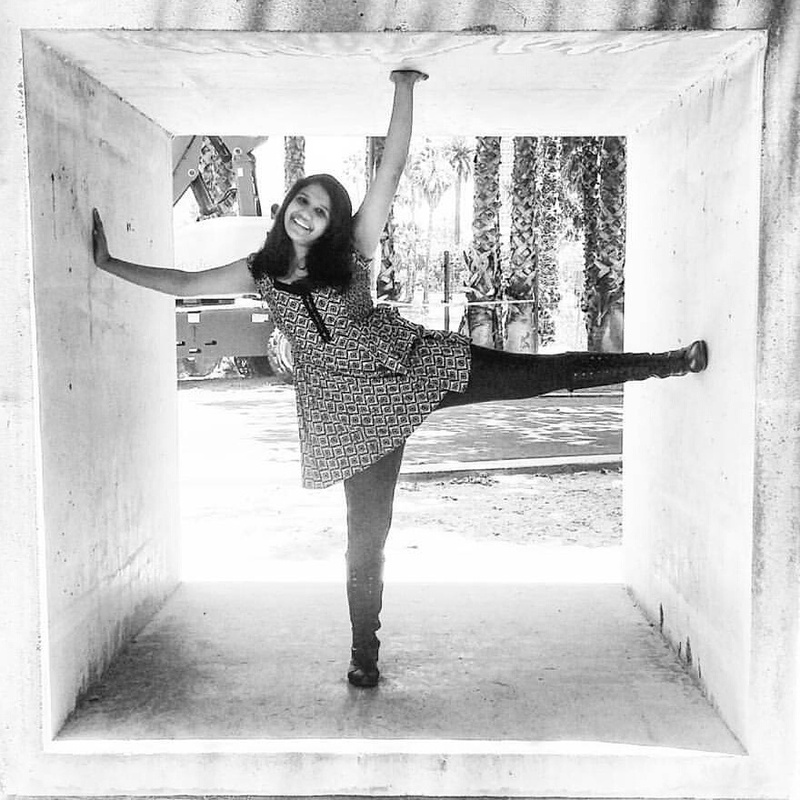 My work-life blog will highlight exactly those little things that make work and life- beautiful.Sort of life this picture – Stretch comfortably to claim a little bit of everything, with a smile! Archi-License-so that I can be sued. How can it be about Architecture and not about licensure? You can have a Doctorate, but if you don’t have a license from the State Board, you cannot practice the profession legally. 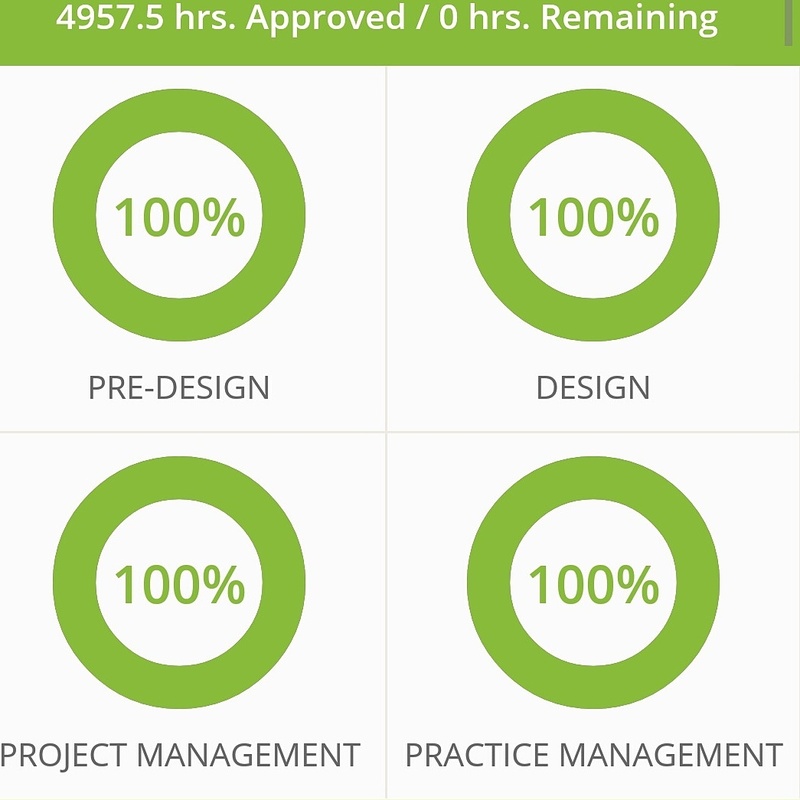 I am done with my IDP requirements – NCARB reduced the required hours this summer! Finally after consulting with two different firms, I have gathered up the experience to finish the IDP (or whatever it will be called after the board agrees on a name and title). It took me two years and seven months to finish. It’s done. It feels good to be done.But it was not easy to finish- even though I was working more than ten hours a day and weekends at one point in time, I could only report so many hours. Being in the field for almost fifteen years now, I didn’t really have much to learn from the “intern” hours, but the experience taught me a valuable lesson of prioritizing what’s important to me in work, or in life. There were times when I couldn’t make it to Site Visit because “life schedule” clashed with “work schedule”- then there was the balancing act of egos and communication. And then there was a point where I worked with only one goal of “staying at work”. IDP was all about work-life balance to me, and ARE will continue to test the resolve further- only difference is, the only ego that can be broken or will need to be stoked is my own. My job is simple: I work- You pay- I say thank you and rinse-repeat the process for the next project. Architecture is multi-faceted. I don’t want to wake up and go to work- said no Architect ever on a Monday morning. I will detach from the profession this weekend- said no Architect as they clinked glasses with friends on a Friday evening. A part of us is always at work- always trying to find inspiration in the weirdest places, always trying to understand a building component. It takes some time for your family to understand and adjust to your needs – it’s not a disability, in fact it’s a super power. I have stared at my Burberry scarf long enough to find inspiration for the color palette of a Storage center – and I have made mental notes about interior details when I watch movies- Vogue is not at all about skinny models and negative body image to me, because I am busy looking at colors working together. Sometimes this super power has adverse effects- when you mentally rearrange your friend’s furniture, or remodel their entire house in your mind while you enjoy their hospitality. Rain or shine, your Architect is always caffeinated and thinking! So what happens when I am not busy earning to pay for the exorbitant fees for the personal lessons for piano, chess and Taekwondo, or not driving my taxi from one place to another transporting my children? I actually enjoy my time with my children! If one is in a class, I enjoy ice-cream with the other, or I just sit down in the waiting lounge listening to her thoughts flow like dissertation. I know the assignment in her AP English class, I know how she missed her parenthesis and got an error in her AP Computers class, and I also know how she didn’t finish last on her two mile run in her NJROTC class. Oh, I know about boys and the boy troubles too. The younger one has educated me enough about the endangered animals – that happens during the twenty-five minute drive to Fullerton to pick up her sister. She tells me about animals, boys that pick their nose, what dad made for breakfast, what her teacher’s husband said that morning to the teacher.. everything about everything. This, keeps me going. Since he is not a reader of my ARE blog, I can safely say that whatever I do in life, I can put my energy into it, because man is behind me one hundred percent in whatever my ambitions are except when I want to third baby, or a husky- my either-or condition doesn’t stand a chance. What does the Archi-wife do in return? She adores this man, and makes him feel like the luckiest man in the world. Married life is all about balance too, especially if you need work-life balance. I have always been a part of support systems for my friends, and been that four a.m. friend for a few. I have been to soup kitchens, I have written checks to causes I believe in. But this year, after fifteen years from my last membership, I paid out of pocket to be a member of AIA. I always thought volunteering long term with AIA would be for youngsters without family, or empty nesters- because how can anyone with a family find time for anything other than work-feed-rinse-repeat. I was wrong. You find time once you know what you want to do- David inspired me (Thanks David! ), when I met him for a study session, and I joined the Communications Committee- I disappear once in a while when life overwhelms, but AIA on Instagram has gone from a 12 followers to 200+ and we are talking Architecture via pictures – Very soon we will find a structure to our postings, but I am glad we continue our efforts! Architects love their extracurricular activities. You wouldn’t find a single one of us who doesn’t have a passion besides architecture. It’s amazing, how we find time and energy to devote to our little side interests even as we greatly suffer from the work-life imbalances. I guess that’s how we nurture the artist within us. So, what’s the Archi-work life? Archi-life is calling the City office in a car full of carpool children who quiet down when your phone connects and checking on the permit status – because you care. Archi-life is waking up at the darkest hour of the morning, and dressing up the T to show up at work so that you can finish early and find time to do other things on your priority list. Archi-life is taking your entire family to the newly opened commercial project of yours, and let them identify what the challenges were, and how you overcame them. Archi-life is living an integrated life, never compartmentalizing it unless it overwhelms. Archi-life is having several interests in one job, and taking care of all while you do the job. Archi-life is all about being happy while you make everyone around you happy, and most importantly those that use your expertise to build..your client and your end users. So, the next when an Architect says I am trying to seek work-life balance, know that their work has one hundred things trying to find a balance, and their life is overwhelming with relationships, interests and causes they believe in. Our lives aren’t as easy as others- we don’t leave work for life, or life for work – we don’t take it easy. Smile and sparkle, and keep marching to the beat that makes you happy- everything eventually balances out if hasn’t already. If it doesn’t, it becomes the baseline of the new balance of your life. Love this! “Smile and sparkle, and keep marching to the beat that makes you happy- everything eventually balances out if hasn’t already. If it doesn’t, it becomes the baseline of the new balance of your life.” Great post Meghana. Seems you do it all!! Being content in the exhaustion of doing what we love. Great insight. Thanks for this amazing slice-of-life post, Meghana. Architects seem to have this in common – we live abundant lives.